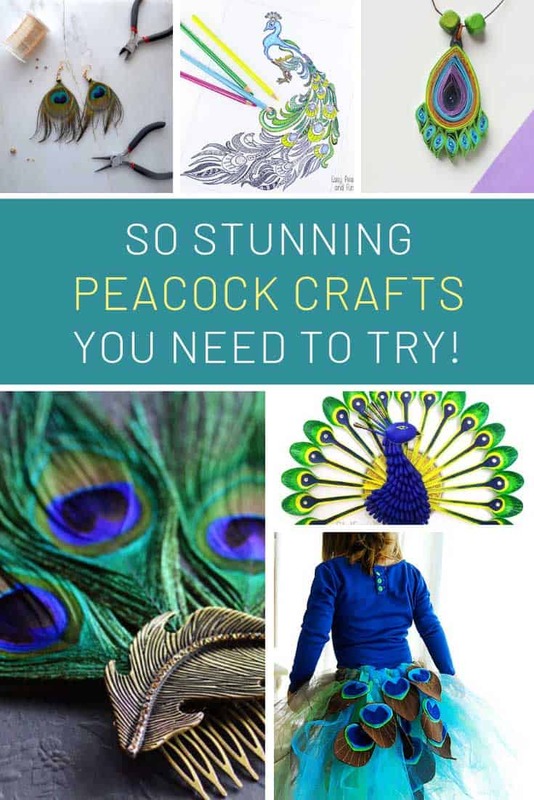 You’ll be dreaming in jewel tones and feathers after a weekend making some of these peacock craft ideas! I’m not sure there’s anything more beautiful than the jewel tones inspired by peacock feathers. 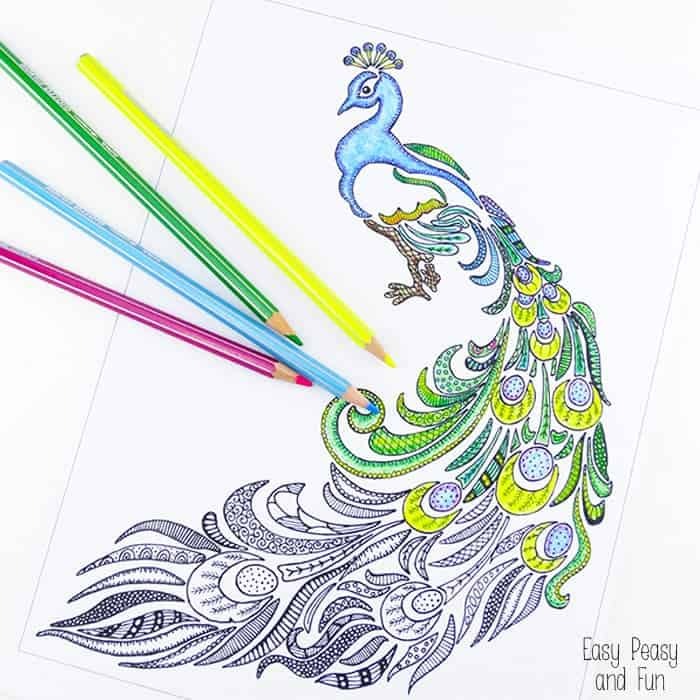 So this weekend why not colour up your life with one (or two) of these fabulous peacock crafts! I really want to have a go at making one of those feather tutus for my daughter! She’ll LOVE it! 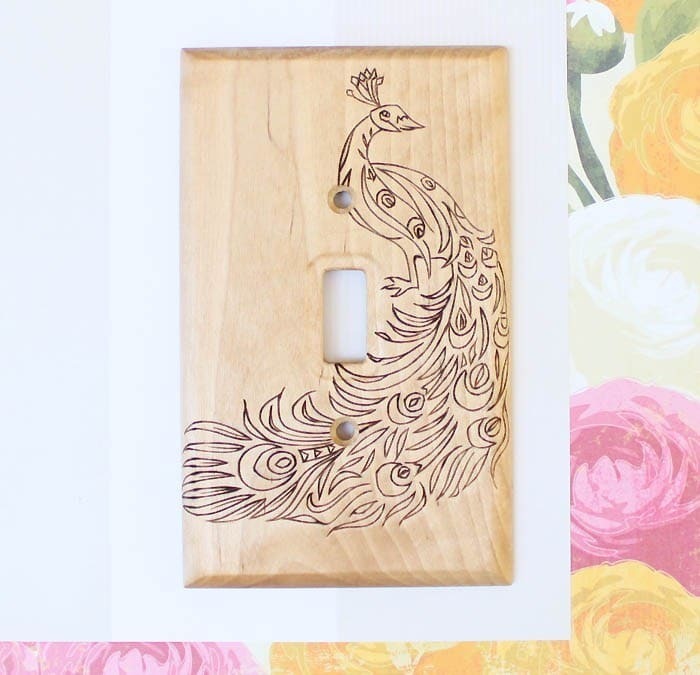 Grab your wood burner and find out how to transform a plain old wooden switch plate into a work of art with this stunning peacock design! 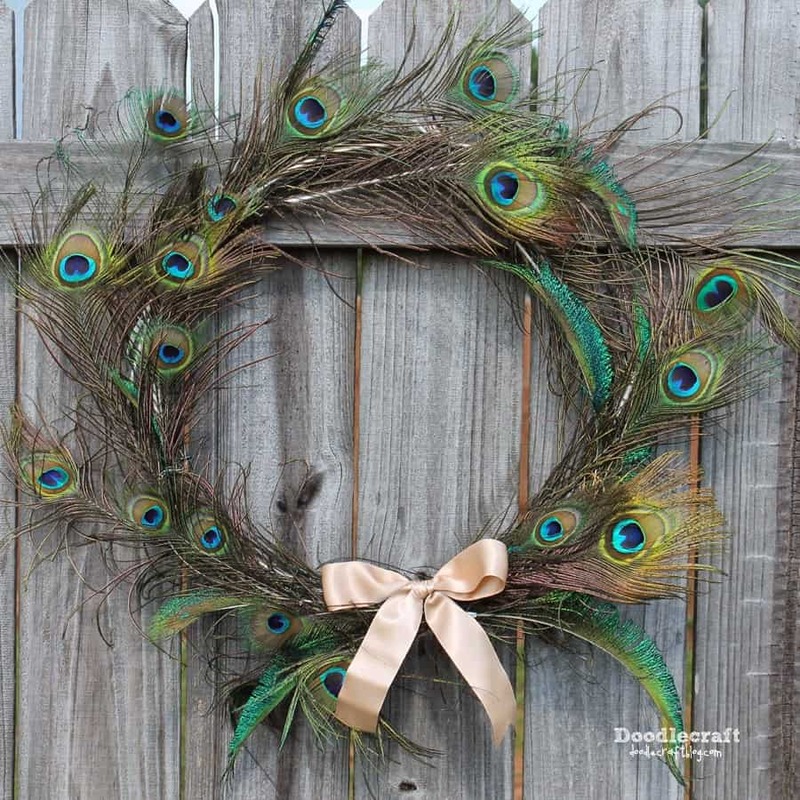 Brighten up your front door with this stunning peacock feather wreath. 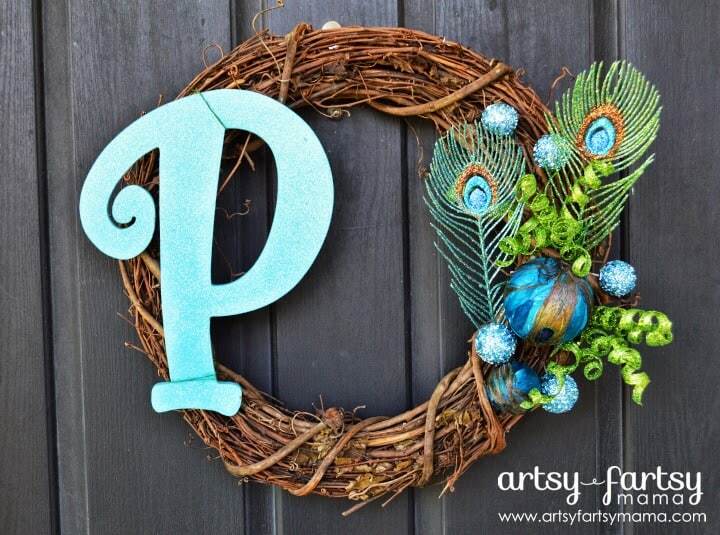 If you don’t have enough peacock feathers for the previous wreath try this design instead. You can add a monogram initial to personalize it making it a fabulous housewarming gift! 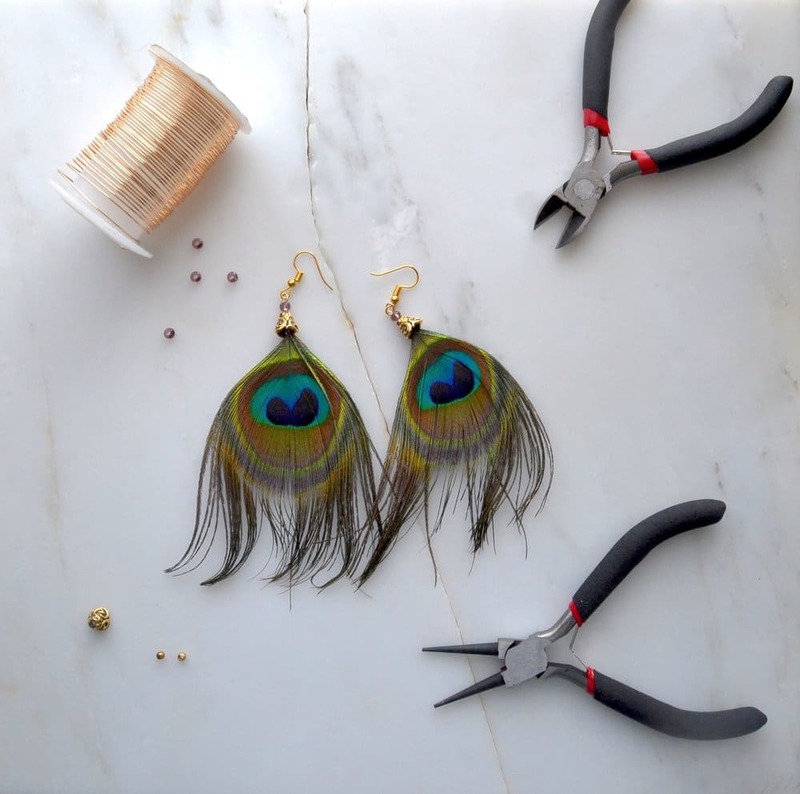 These beautiful peacock feather earrings are simple to make even if you’ve never made your own jewellery before. You only need a few supplies to get started and they make wonderful gifts for friends. 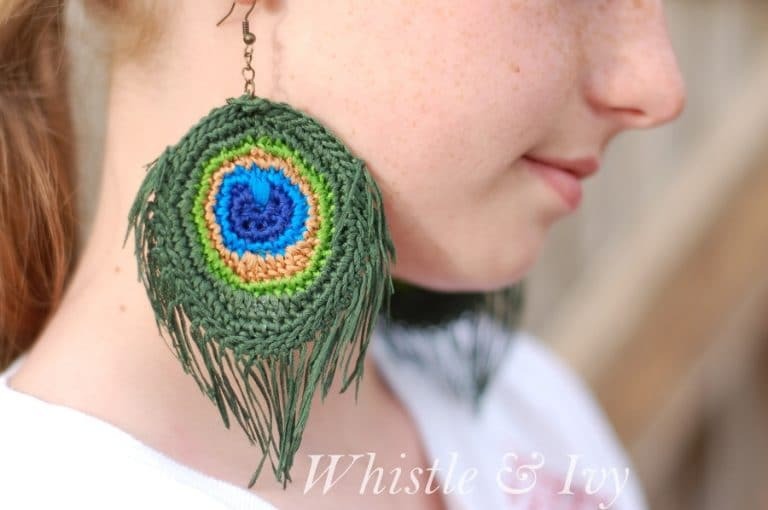 If you prefer to crochet then check these out! So unique and the pattern is easy to follow. You’re allowed to make them to sell too! 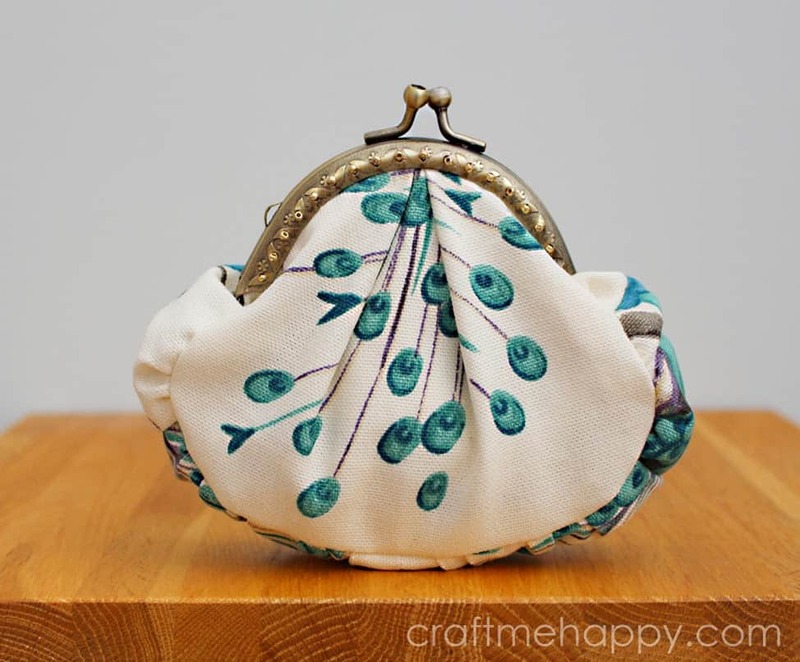 This tutorial has lots of photographs to follow to show you how to make this sweet frame purse. Have a look on Etsy for some gorgeous peacock fabric! Relax your mind with this gorgeous coloring page design. When you’re done you could frame it for the wall, or use it as a cover page in your bullet journal. 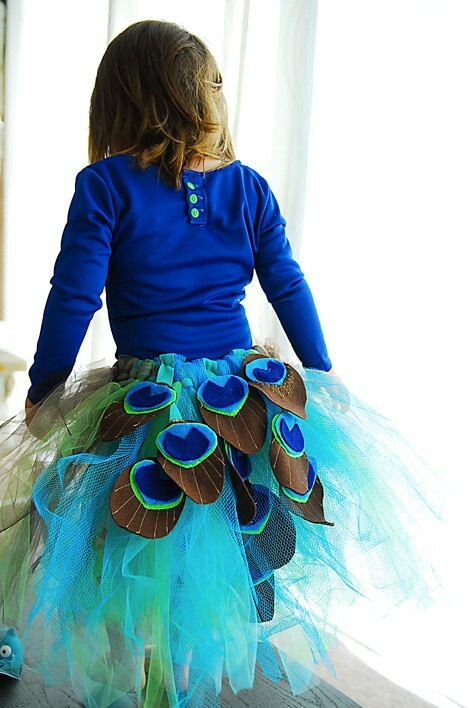 If you have a little girl who loves to dress up you should totally make one of these peacock feather tutus! It would be perfect for a Halloween costume too! 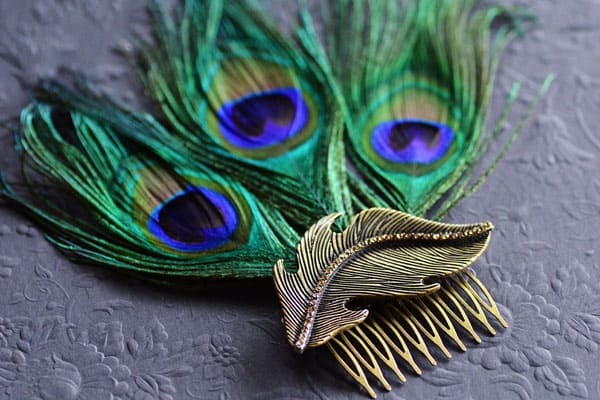 If you have somewhere special to go and want a stunning fascinator for your hair you cannot go wrong with this peacock feather design! 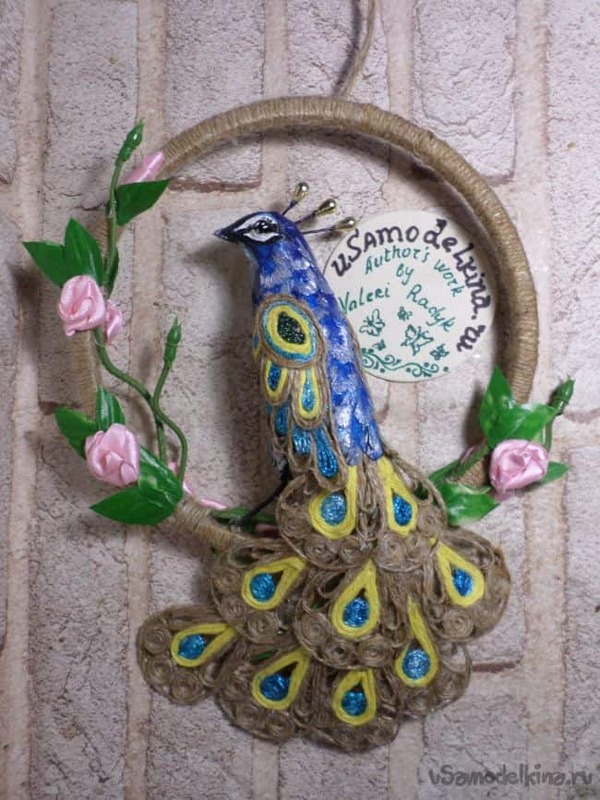 If you love turning trash into treasure with recycling crafts try making one of these peacock wall hangings. The tail feathers are obviously made from spoons but can you guess how to make the body feathers?? 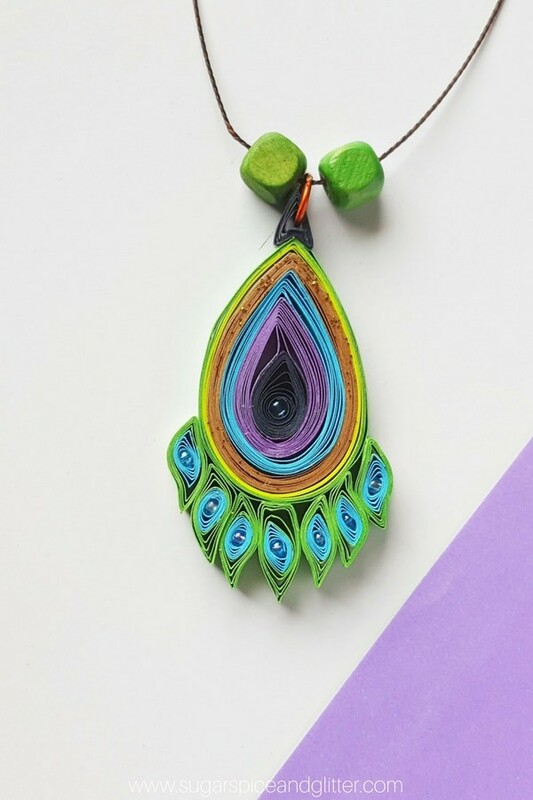 This pretty necklace is made from quilled paper and the ideal craft to enjoy with your tween or teen. Here’s one for you serious crafters! 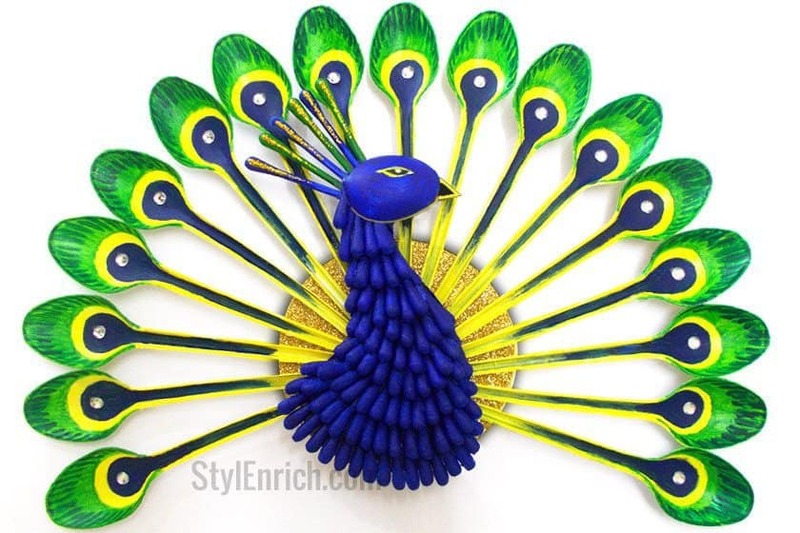 This unique peacock will take a bit of time and patience to make but will look stunning hanging on your wall! 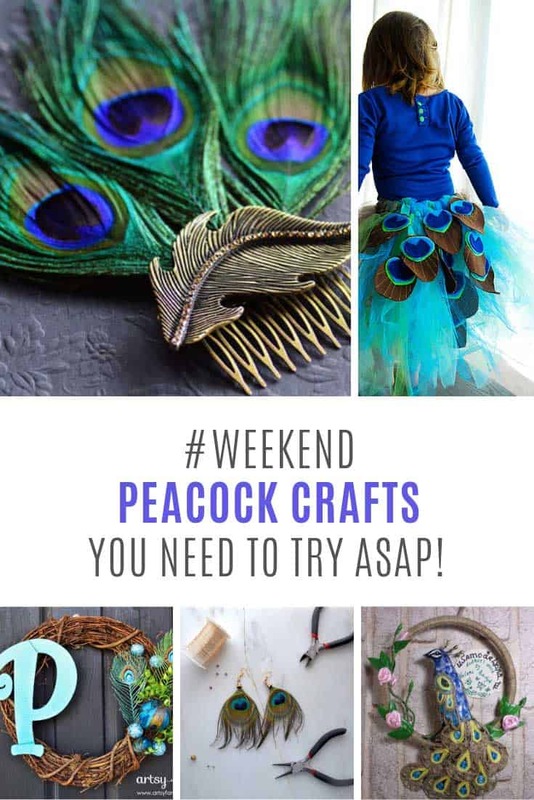 Let’s finish up this collection of peacock craft ideas with another repurposing craft. Watch the video to find out how to make a stained glass peacock design on a wine bottle. It would work well on a tall glass jar too!